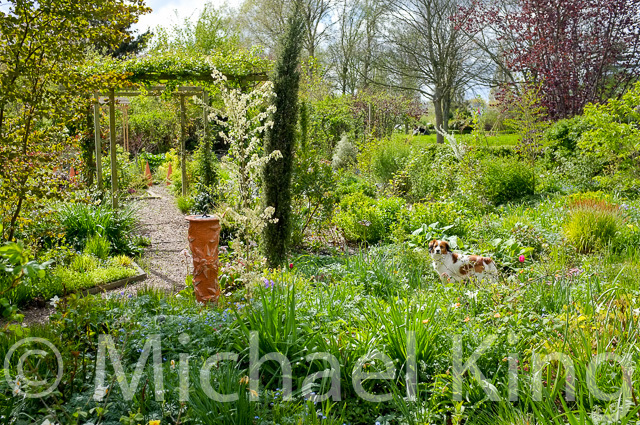 As a keen gardener I am always making mistakes and learning from them, but invariably gardening books only tell us the correct way to do things and only show perfectly composed photographs of gardens to which we must aspire. Looking at your own gardens is different than looking at those of others. 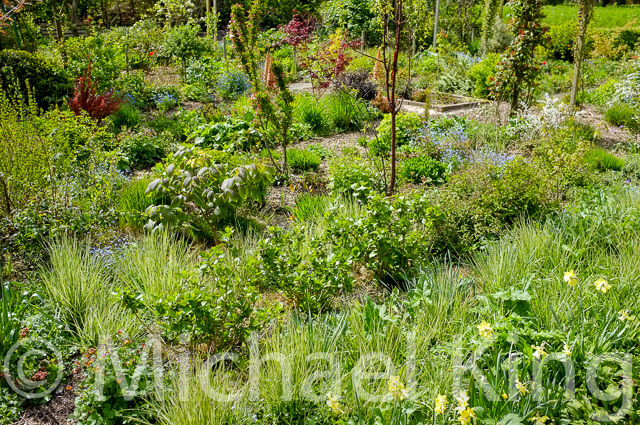 When I see my low-growing, open garden in spring I see it in the context of how it will be in high summer when the air will be filled with arching grasses and billowing clumps of head-high perennials. Others might view my garden now as lacking in structure and variations in height; I see the contrasts it offers over time. Conversely most people passing my garden this weekend will comment upon how nice it looks, bursting into growth, the newly planted shrubs showing their first flowers and promising more in the years to come, but for me, I see a problem. 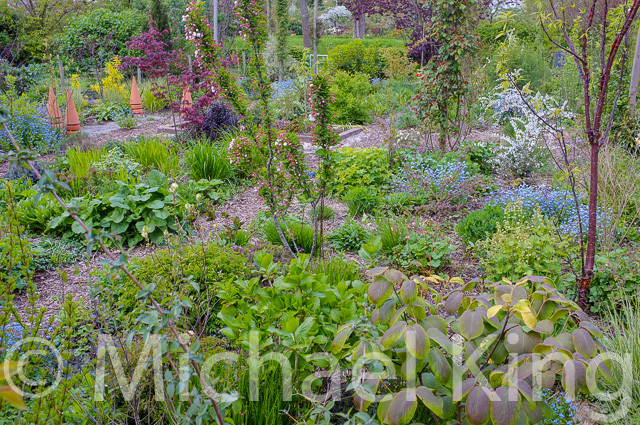 In truth not one problem as this is a trial garden and not meant to be a perfectly designed show garden, but what I am missing at the moment is the wash of colour tulips could be bringing to the picture. 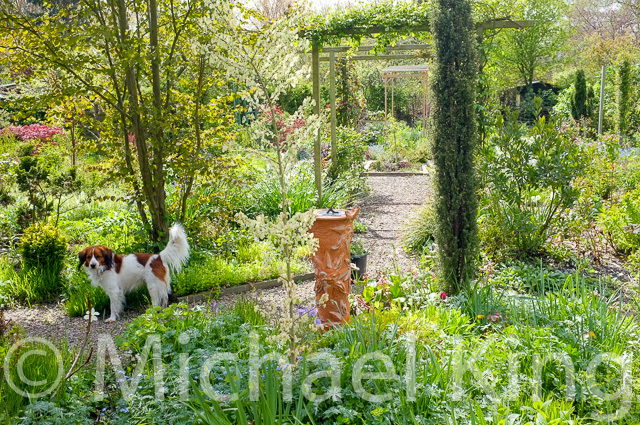 The perfectly composed photograph in the garden magazines seduce us into admiration of the skills of others, but we don’t see the whole picture: both literally and in context. Where the camera lens focuses in, it carefully crops out the things that we must not see. 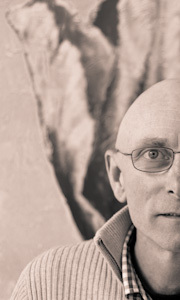 Also, those photographs are a shot in time and fail to reveal the process that is unravelling there day by day. At a glance my garden looks great, but I know it could be better. The sea of red tulips that I crave to contrast boldly with the many shades of green it currently displays are missing – in part because I failed to plant them and in part because I am fighting a loosing battle with the local mice and vole population. This autumn I will have more time than last year to work in the garden and plant the missing tulips. I am told that the smell from fritillaria bulbs such as Crown Imperials will deter the rodents so maybe my current mistake will be solved and then I can move onto the next problem. Why, in God’s name, did I plant that brightly variegated Acer campestre in such a prominent position? And wouldn’t the simple green leaved species have been a much better choice? Gardening moves forward one step at a time and no doubt almost as many backwards. Perhaps it is time for an alternative gardening book highlighting all of our gardening mistakes. 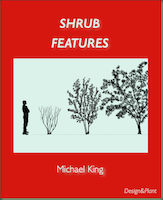 This entry was posted in Practical gardening and tagged Dynamic plants, flower color, garden design, Gardening Books, Oudolf, Perennial Perspectives, planting design, tulips. Bookmark the permalink.